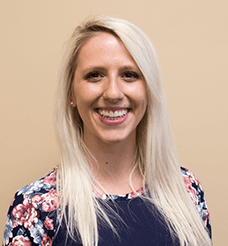 Heather attended Baker College of Muskegon for physical therapist assistant school. She has a special interest in multi-region core stability, manual therapy of the upper quarter, manual therapy of the lower quarter, lumbar spine athletic low back pain, and teaching people about pain. Heather is also BLS certified. She has three years of experience as a licensed Physical Therapist Assistant. Outside of work, Heather enjoys doing outdoor activities like hunting, fishing, camping and doing watercolor.